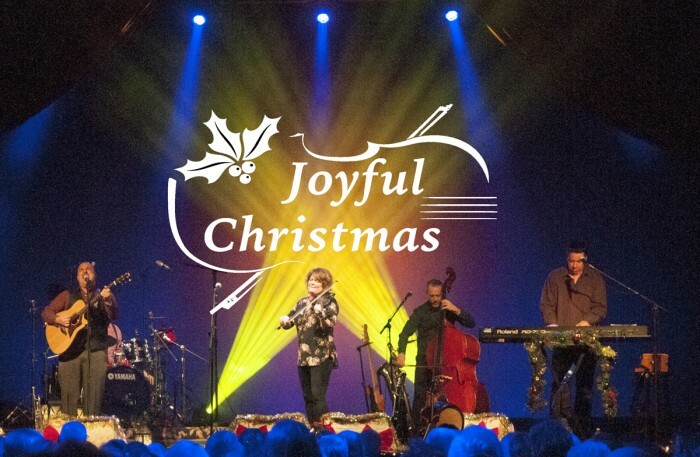 » Blog Archive » December 13 - Eileen Ivers: Joyful Christmas - 7:30 p.m.
December 13 - Eileen Ivers: Joyful Christmas - 7:30 p.m.
Grammy®-Awarded and Emmy-nominated, Eileen Ivers, continues to push the fiddling tradition boundaries from a folk music staple to a fiercely fresh, powerfully beautiful, intensely driving world stage experience. Eileen has performed with Sting, ‘Fiddlers 3’, The Chieftains, was the groundbreaking musical star of Riverdance, a former member of the Hall & Oates band, and she is one of the most awarded All-Ireland Fiddle and Banjo champions ever. Eileen has been proclaimed “a national treasure” by NCTA Board Chairman George Holt as she celebrates her 30 plus year career as a performer, composer, producer, songwriter, band leader, educator, multi-instrumentalist and renowned pioneer in connecting her American, Irish traditional, jazz, blues, and world roots. Eileen Ivers “Joyful Christmas” recalls the roaring hearths and resounding laughter that are part and parcel of Christmas in Irish families, she interweaves age-old Wren Day songs, beloved American carols, and even a jigging Bach in An Nollaig: An Irish Christmas. With her signature warmth, Ivers invites listeners in for a tuneful, soulful celebration capturing the true spirit of the season and telling the story of Christmas through music. The presenting sponsors of Eileen Ivers: Joyful Christmas at the Dogwood Center are HS&C Wealth Management - a financial advisory practice of Ameriprise Financial Services, Inc. and H&S Companies. Click here to purchase tickets! $25.00. Main Stage. Reserved seating. 7:30 p.m.
Dogwood Box Office hours are Tuesday - Friday from 10:00 a.m. - 2:30 p.m. and two hours prior to an event. For more information please contact Dogwood Box Office at 231.924.8885.